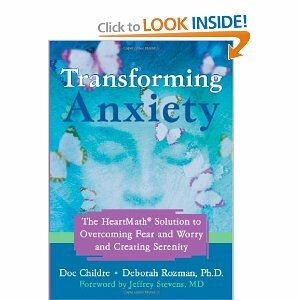 Check out these two resources for anxiety and its treatment! This is a book you can read right along with your child. Although, it is specifically for treating Obsessive Compulsive Disorder, the tools included would also be useful for other strong worries or anxious thoughts. It does an excellent job of explaining how anxious thoughts operate within the mind/body experience and also provides a useful tool for when your child encounters an anxiety provoking situation, event or thought. 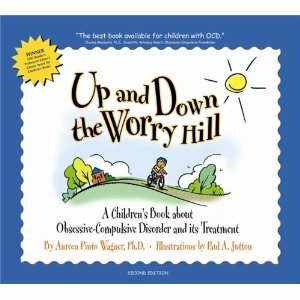 The illustrations help to explain and encourage your child to “ride out the worry response” until you get to the other side of the “hill” or, rather, the other side of the peak feeling experience. Not only an excellent metaphoric visual for the physiological and emotional anxiety experience, but another tool with specific steps to add to your coping skills tool box. Drawing on scientific research from the Institute of Heartmath, (www.heartmath.org), this book is perfect if you are looking for deeper understanding of how we can re-program our neurocircuitries for feeling more calm and relaxed. The book provides an in-depth explanation of how the nervous system can be calmed by using a mixture of both physiological and psychological techniques. Included are very simple, step-by-step activities for repetitively shifting focus, interrupting old dysfunctional patterns so that the brain can be re-patterned promoting increased feelings of calm, wellbeing, harmony and peace. Visit their website to find many additional resources on emotional self-regulation for children and adults of all ages.